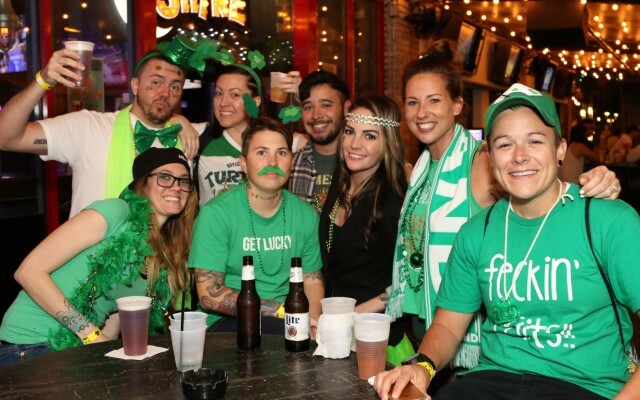 St Patrick's Day 2019 in Austin has a lot to offer for the week. There are several parades, concerts and events going on in the Austin area. 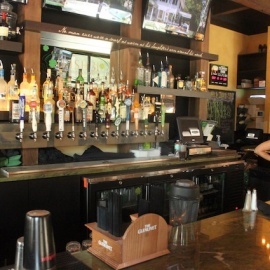 Be sure to check out the local Austin Texas nightlife guide to find the perfect plans for St Patrick's Day weekend. St. Paddy's Event: Celebrate St. Paddy's Day with a FREE Cardio Dance Party class with Alex at 5 p.m.
Céad Míle Fáilte, “a hundred thousand welcomes” from Delysia Chocolatier & Uncle Billy's Brewery. We invite you to celebrate St. Patrick’s Day at our complimentary chocolate & Uncle Billy's beer tasting event. On March 15th at 2pm, we are celebrating St. Patrick's Day a little early. Before you head out for Spring Break, come to the lobby and party with us! The first annual Darcy's Donkey St. Patrick's Day Extravaganza of Irish-ness. Three days of celebrating all things Irish! Join us Saturday at The Hills and Sunday at Flintrock Falls from 11 a.m. to 9 p.m. for an Irish meal! We LOVE St. Patrick's Day! Come PAWTY with us with dog beer, a photo booth, beverages, and prizes for best costume! Lyrical performing Live bringing the Boss Tour to Austin TX for the Unofficial SXSW party at Bat Bar! Join us at Overture Domain for a festive St. Patrick's Day party from 3PM to 5PM. 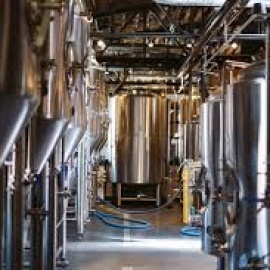 We'll have live music along side green beer and irish infused foods. Grab your green attire and we'll see you there! Includes: Free Shirt, Free Koozie, Free Cup, Free Wristband, $2 Drinks, $2 Shots, $2 Beers.Tickets are now available for the Annual San Marcos St. Patrick's Pub Crawl! Aussie's St Patrick's Sunday Funday RevCo B/BB Tournament! Let's PADDY! We'll be celebrating St. Paddy's day from open to close Sunday, March 17! Guinness/Smithwicks/Harp Specials & Mini Car Bomb Specials; limited release of green MEAN shirts available, too! Party your shamrocks off with $7 Jameson and $5 Guinnesses all day long. Grab your complimentary swag from the Jameson street team! Celebrate St. Patrick's Day with us and enjoy all of the festivities and shenanigans throughout the day! Join us as we tip our glasses of Irish Whiskey and down our Irish Car Bombs and celebrate one of the best holidays EVER! Barcrawlerz is an Austin Bar Crawl like no other. Join us for the 18th annual St. Patrick's Day Austin! Sunday, March 17th 12pm to 6pm at Pioneer Farms in North Austin. We've got the luck of the Irish on our side! Join us at the end of the rainbow for a marathon courtyard extravaganza with not one, not two, but three of your favorite party bands! Take your St. Patties Day shenanigans to Gourdoughs! Celebrate the Patron Saint of Ireland with some proper pours of Ireland's most recognizable Irish Whiskey brand as Francis McConnell takes us on a journey through the Caskmates and Black Barrel and into the Whiskey Makers Series! STPD St. Patrick's Day Shenanigans 2019! SXSW/ St Patricks Day Mean Green! End your SxSw week or start your Saint Patrick’s Day Party with a rockin brunch or lunch @ HeB Cafe Mueller. Join 365 Things Austin and Austin Tour Company for a “top o’ the morning” celebration on board The St. Patrick’s Gay Brunch Boat! St Patrick’s Themed Bingo! There will be a backdrop for pictures with a Leprechaun, a silent auction with awesome gift baskets and prizes! Grab your green garb and gear up for St. Paddy's Day festivities on our rooftop terrace. Located on the 6th floor of Sonesta Bee Cave Hotel . Join us Sunday night to send SXSW packing and celebrate St. Patrick's Day! CDR Band rocks Mister Tramps on St. Patrick's day. Bye Bye SXSW. Hello St. Paddy's. It takes some serious luck of the Irish to survive all the craziness that SXSW brings about, and now that it is almost over, it is time for Austinites to take back their city. Join the Sugaa Squaad and friends for a one-of-a-kind St. Patrick's Day party! If you are looking for things to do for St Patrick's Day in Austin, then check out the Austin Guide. There are plenty of Events, Parades and Things to Do in Austin for St Patrick's Day week. Know of events in your area that are not listed, then post events on the website to help others looking for things to do.